I began collecting fountain pens a couple of months ago. I was trying to restart as an artist by acquiring sketchbooks and paint, then I got inspired by calligraphy which led to a hunt for fountain pens with a flexible nib. Flex nibs give a broader line when pressure is applied on the downstroke, as opposed to an italic nib which is the same width until you change direction. 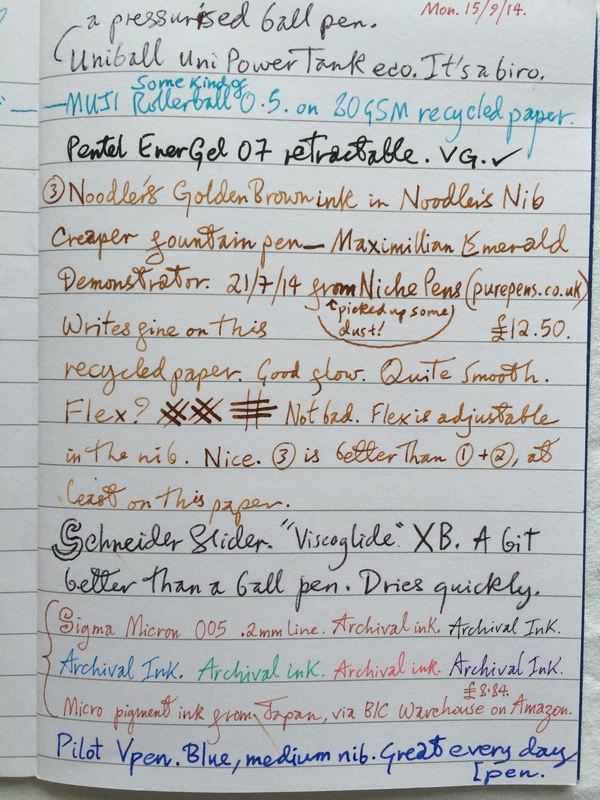 I fancied getting vintage pens rather than new ones, but pens with really soft flex nibs go for a premium price. And as for the legendary “wet noodle” nibs… eBay was my ruin. Another discovery was the community of stationery blogs such as The Pen Addict and The Well-Appointed Desk. Also dealers like The Goulet Pen Company in the USA have guides, glossaries and videos to teach the basics of fountain pens. I had to start this blog to spur me to produce some writing or art. 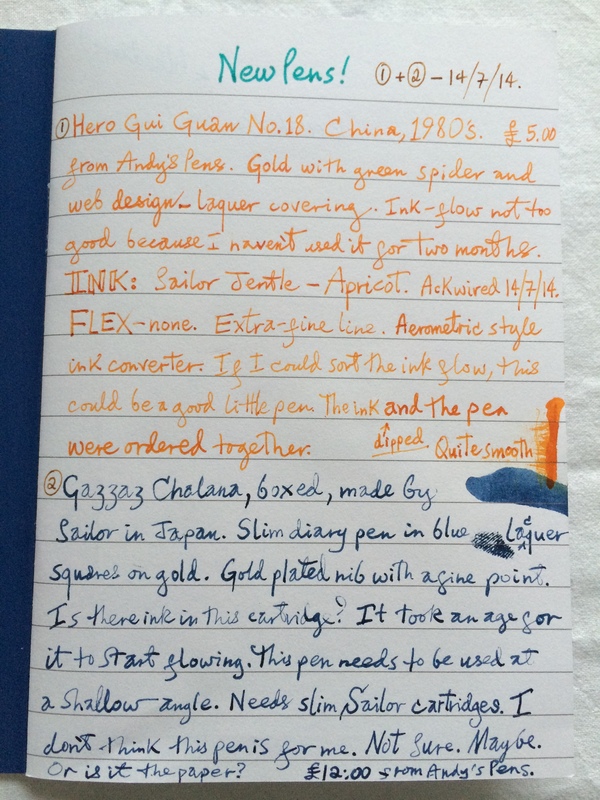 I got off to a fairly shaky start, selecting some 80 GSM paper (a notebook from the Matisse exhibition at Tate Modern in London) which should be heavyweight enough for fountain pens, but as it’s recycled paper it has “teeth”—ie it’s not as smooth as new paper. Wow, this Noodler’s Nib Creaper is good. These pens write better on finer paper.